Where is it ? 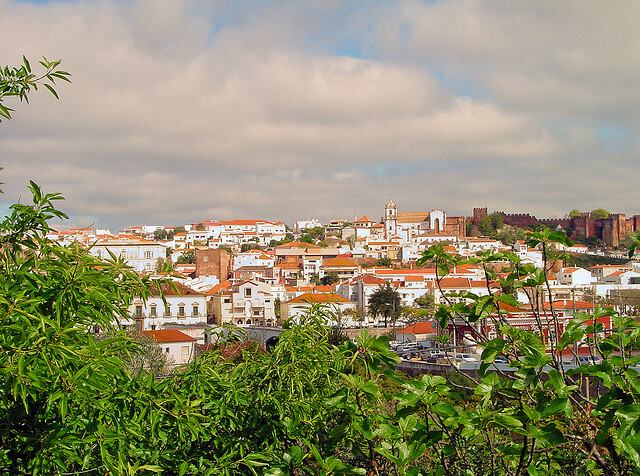 Silves is Located inland, about 14 Kilometres from the Coast. Silves is about 60 Kilometres from Faro Airport , Approximately one hours journey by car. How big is it ? Today Silves is home to approximately 12,000 permanent residents but the city was once the capital of the Algarve under the Moors and is a town with a rich historical heritage. Who goes there ? The town is popular with sight-seeing tours and guided historical walks. There is so much history to see in Silves that it would be a shame to not spend at least a day of leisure here. What about Food and Accommodation ? There are a number of Hotels and guest Lodgings in Silves although it would not be considered a traditional holiday resort. There is a good selection of bars and restaurants. Once described as a city ten times more powerful than Lisbon, Silves or Chelb as it was known was once the capital of the Algarve. Its position on the powerful Arade river meant it was an important town to first the Phoenicians then the Romans and subsequently the Moors. The town was subject to christian versus moor battles during the crusades of the twelfth and thirteenth centuries, finally becoming a christian town in 1250 with the Moors in retreat. Over time the once mighty Arade river had silted up and was no longer seen as a trading route. Today the town is a sleepy place full of history that’s a must for people who want to spend a day learning about the rich history of the Al-Gharb region. Despite its fall from grace Silves is still a Medieval gem and the town is still surrounded by the walls of the old red fortress. Inside the walls of the city you will find restored ruins of the Castelo dos Mouros which has its roots dating back to the Phoenicians and dominates the towns skyline. The Gothic cathedral or Se Velha built by the crusaders in the 13th century and the imposing Torreao da Porta da Cicade or old Turret gate. The town also has a museum of Note in the Museu municipal de Arqueologia. Also worth a visit if you are in the area is the Barragem do Arade. The Nearby reservoir which provides water for the entire region is also a natural beauty spot and popular for sailing and waterboarding. Silves has a good selection of Bars and restaurants but after dark the town is blissfully quiet. http://www.cm-silves.pt Local website in Portuguese.